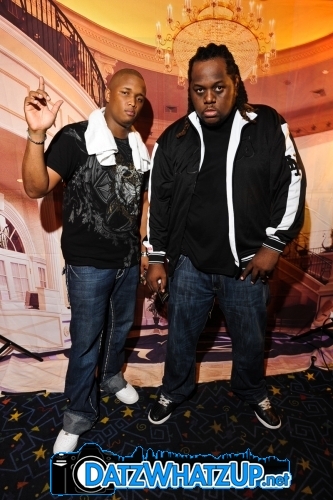 Dancehall’s dynamic selecting duo – Razz & Biggy, recently left the island for a 2 week mini tour consisting of 8 dates in and around the tristate Area of New York. Brooklyn, the place that is considered to be New York City’s most populous borough played host to the first stop for Razz & Biggy on their North Eastern tour of the United States with their weekly event – ‘Wah Gwan Wednesdays. The series that is hailed as a must attend if you are in Brooklyn has played host to many Dancehall/Reggae selectors and sound systems from within the United States and countries like Jamaica and has also witnessed performances from entertainers like Richie Loops and Lady Saw, so it was no surprise that to see Razz & Biggy billed for a stint on October 22nd. No strangers to the New York vibe, the duo thrilled the crowd with pleasing selection after selection. Next stop was a town called Poughkeepsie which is nestled on the east bank of the Hudson River. A fitting place for the Duo to have hosted their dance classes, playing a string of hits and dancing tunes, the patrons were sent into frenzy soon after they took control of the turn tables and that same energy followed for the rest of the night. On what should have been their ‘night off’ the duo joined Dancehall Star Serani at the Area Night Club in Queens and needless to say they rocked the house. Serani has become a favourite in the hearts of the ladies of New York and the selecting duo has their fair share of those there as well, together they executed an unforgettable performance. The duo continued on to Hartford Connecticut on Sunday the 24th with the same vibe and energy they started out with on Wednesday. The event, as promised by the promoters was to be ‘energy packed’ fuel by the selecting engine that is Razz & Biggy. He can rest well knowing that he made a good choice bringing them to Hartford for the event as they didn’t fail at entertaining what was a packed venue. One patron shouted “Razz & Biggy a di baddis ting”! This after Biggy introduced one of the duo’s many dubplates which bounced from the speakers set up around the venue. What has now become known as the Razz & Biggy Global Express continues to roll on, this mini North Eastern tour continues until October 29th with what is now four dates. By the look of things it could be extended as promoters continue to make bookings for the Express before it rolls on, quite like it has done since the year began thrilling audiences in Europe, the Caribbean and other states in the United States.